Use of this Website is subject to terms and conditions (“Terms”) set forth below. Access to this Website is an acknowledgement that these Terms, as amended from time to time, have been read and accepted. 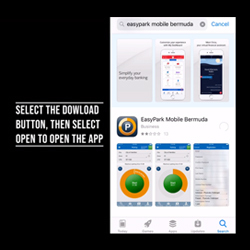 EasyPark ( Agility Ltd. or “Company”) is a Bermuda company. 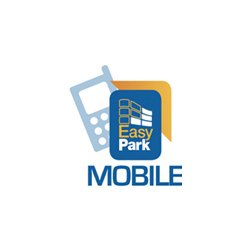 Company is a licencee of EasyParkTM products with a focus on delivery and support of parking, payments and security solutions. The host server for this Website is located in Bermuda. The materials on this Website are for general information purposes only and should not be construed any specific facts or circumstances. Readers should not act or refrain from acting upon this information without seeking professional advice. Transmission of information on or by use of this Website is not intended to create, and receipt does not constitute, a client relationship between the sender and receiver. Such communications will not be treated as confidential. The information on this Website is subject to change without notice. Although we try to keep our Website current and accurate, you should not rely on this information or its applicability to any specific circumstances without first seeking professional advice. The information on this Website should in no way be taken as an indication of future developments or results. Company makes no warranties, representations, or claims of any kind concerning the information available from, or the operation of, this Website. The Company and contributing authors expressly disclaim all liability to any person in respect of the consequences of anything done or omitted to be done wholly or partly in reliance upon the use or contents of this Website. The Company has procedures in place to check materials for viruses and other malicious code before they are posted to this Website. However, we cannot guarantee that material accessible from this Website is free of viruses or other malicious code and we do not accept any responsibility for any damage or loss caused by any such code. This Website may provide links to a variety of other Internet resources and may provide access to third-party information. However, the Company is not responsible for any third party content that may be accessed through the Website and the availability of links on this Website to such third party content should not be construed as referrals to, or endorsements of, the linked entities or information that they make available. Company will remove any link from this Website upon request from the linked entity. Without our prior written consent, you may not link material on this Website with another website, or associate or frame material on this Website with another webpage or materials of any other entity. Persons contacting Company through the Internet e-mail facility provided through this Website should not send confidential, privileged or sensitive information. If you have a specific sensitive question, please provide details in the e-mail of how we can contact you and the general nature of your inquiry, without providing any confidential specifics. We will then endeavour to pass on your e-mail enquiry to one of our appropriate personnel. Your use of the Internet e-mail facility on this Website does not give rise to a any type of relationship. We will endeavour to respond to any question submitted through the Website’s e-mail facility but accept no liability for failure to do so. We recognize that privacy and data security are important issues, and so have taken steps to safeguard the information that you may provide to us through this Website. Please see below our Privacy and Security Statement for this Website. In no event shall Company, its partners or contributors to this Website be liable for any loss or injury, or any damages, whether direct, special, indirect, punitive, incidental, exemplary, consequential, or otherwise, whether based on breach of contract, tort (including negligence), product liability or otherwise, resulting from your access or use of this Website. (b) the legality, validity or enforceability in other jurisdictions of that Term or any other Term. • Emailing, calling or communicating with the lawyer or law firm. • Posting a question or comment through the site. • Registering to attend a seminar or any event. • Participating in an online survey. • Requesting inclusion in an email or other mailing list. • Submitting an entry for a contest or other promotions. • Logging in to the site, thus requiring a user name and/or a password. • Any other business-related reason. 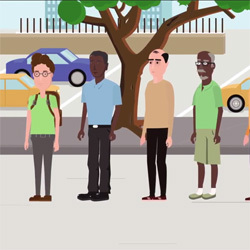 We provide the opportunity for you to agree or decline to give your personal information via the Internet. The company will inform you of the purpose for the collection and does not intend to transfer your personal information to third parties without your consent, except under the limited conditions described under the discussion entitled “Information Sharing and Disclosure” below. If you choose to provide us with your personal information, we may transfer that information, within our company or to a third party service provider as necessary. We may collect domain information to enable us to analyze how our visitors use this site. This data enables us to become more familiar with which people visit our site, how often they visit, and what parts of the site they visit most often. Our company uses this information to improve its Web-based offerings. This information is collected automatically and requires no action on your part. • Consenting to share your information to a third party service provider working on our behalf to serve you. • Requiring us to provide you with a product or service. Company will also disclose your personal information, if required to do so by law, or in urgent circumstances, to protect personal safety, the public or our sites. Children under 13 years old are not the target audience for our Web site. To protect their privacy, our company prohibits the solicitation of personal information from these children. This site may contain links to other sites. Company does not share your personal information with those Web sites and is not responsible for their privacy practices. We encourage you to learn about the privacy policies of those companies. Company reserves the right to change, modify or update this policy at any time without notice. Any substantial changes in the way we use your personal information will be posted on this site.